"That little girl, is at the center of it… because she's special." 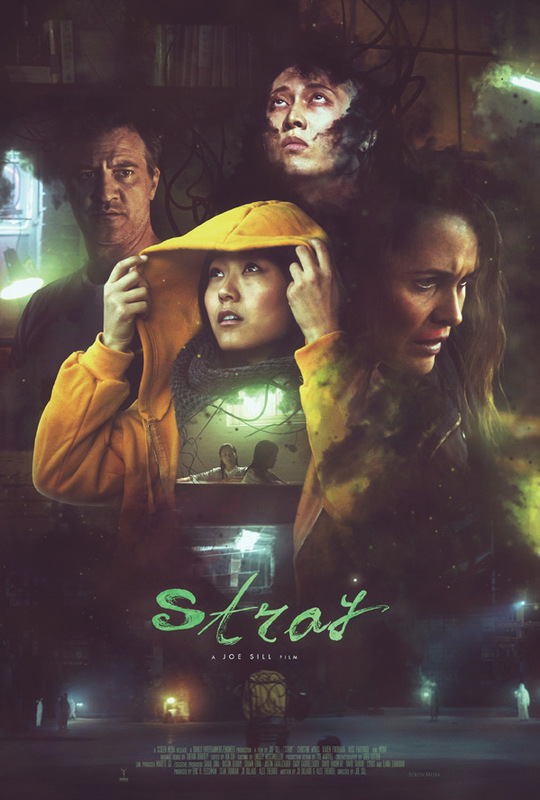 Screen Media Films has debuted the first official trailer for a new indie action film titled Stray, the feature debut of filmmaker Joe Sill, featuring a screenplay co-written by filmmaker J.D. Dillard (of Sleight, Sweetheart). The thriller is about an orphaned teenager who forms an unlikely friendship with a detective. Together they investigate her mother's murder, and uncover the supernatural force she possesses that proves to be a threat to her family. Starring Karen Fukuhara as Nori, along with Japanese Pop Star Miyavi, Christine Woods, Ross Partridge, Takayo Fischer, and Kiran Deol. I like the look of this, and this trailer has some cool reveals in it. Worth a look. An orphaned teenager teams up with the detective investigating her mother’s murder. They soon discover a supernatural force threatening the city and realize the teen possesses hidden powers of her own which might be the key to stopping it. Stray is directed by filmmaker Joe Sill (visit his official website), making his feature directorial debut following a number of short films and other commercials / video work before this. The screenplay is written by filmmaker J.D. Dillard and Alex Theurer, from a story by J.D. Dillard, Joe Sill, and Alex Theurer. This hasn't premiered at any film festivals or otherwise yet. Screen Media Films will release Joe Sill's Stray direct-to-VOD starting March 1st coming up next month. Anyone interested in it?